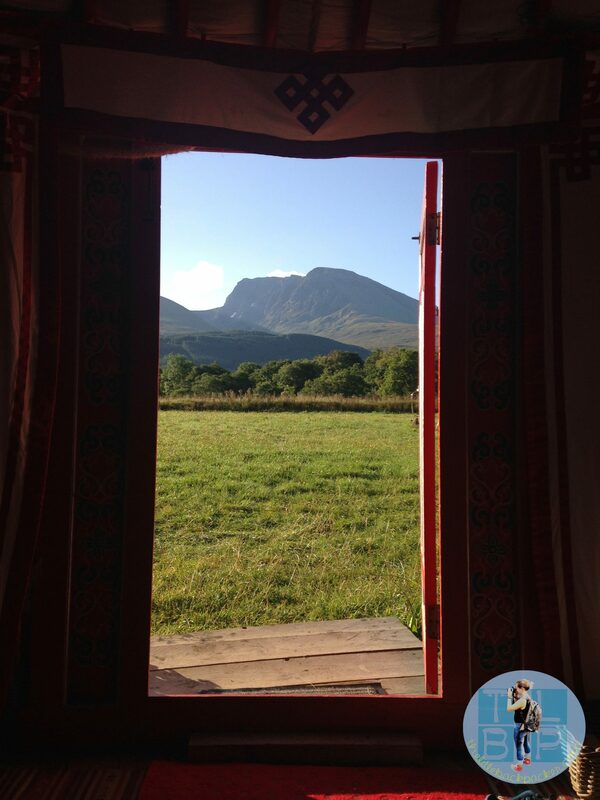 I had been eyeing up staying in a yurt for months, ever since I took an interest in glamping and quirky stays in the UK. A yurt was out of my price range back in March when we took our Scottish road trip however this time around on our mini Scottish holiday I was happy to fork out the money. Our little holiday was all about luxury and ending our time in Scotland in style. 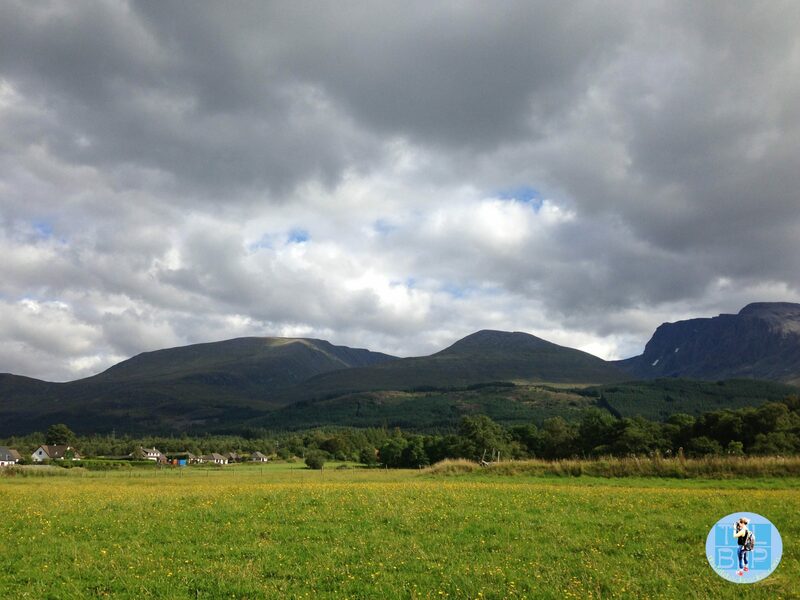 Great Glen Yurts is located just outside of Fort William, near to the Nevis Range with beautiful views of Ben Nevis. It was perfect for some down time and enjoying the last bit of August sun. Great Glen Yurts are a small site with three yurts and a gypsy hut, the night we stayed they were all full (two families and two couples). 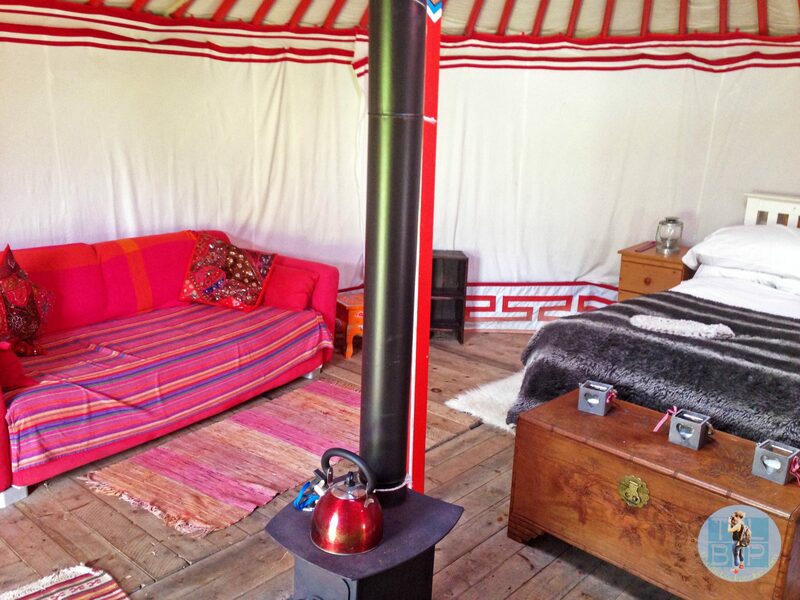 Each yurt can sleep a family of four which includes a double bed with either bunkbeds or futons, each yurt also has a sofa. Our yurt was a little smaller than the other two so four people may have been a squish. For the two of us it was perfect, named the ‘sweetheart’ yurt the decorations carried on this theme: heart pillows, heart candles and lots of red. It really was gorgeous inside, so many little details and full of candles/lanterns for when it got dark. There was no electric in the yurt so these were essential. 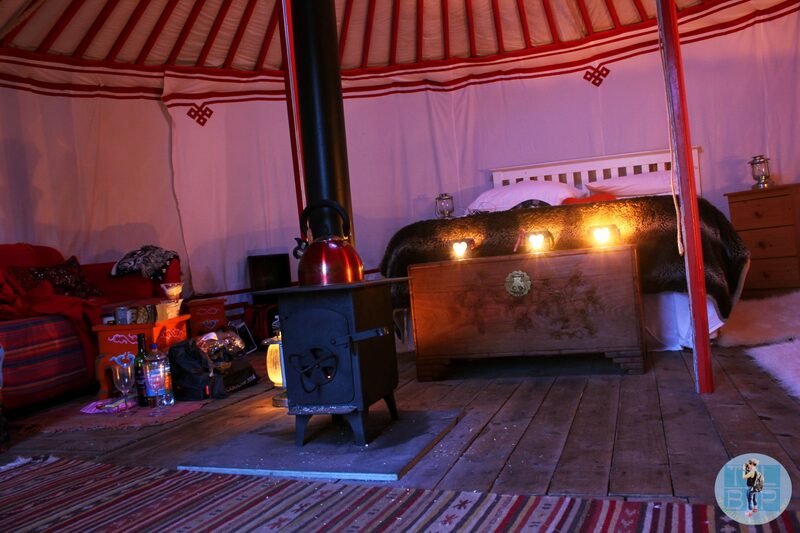 They provided us with a little log burner inside with a chimney to funnel the smoke out of the yurt. This also included fire lighters, logs and sticks so that we could get the fire going easily – had we of ran out there was a wood pile on site. The log burner kept us pretty toasty all night but then again it was still August. Along with the sleeping accommodation the site was equipped with toilets, showers and a kitchen/lounge around. All these facilities looked new and were made from wood from trees grown on the farm. There was also a BBQ with these facilities. We choose to take picnic food so didn’t use the kitchen however the facilities looked up to scratch. There was also a communal fire pit for use. We arrived shortly after check in time at 5pm, as soon as I saw the set up I was gutted not to have had longer to relaxed. The site had only one electric point in the kitchen facility it provided and no wifi, so it was the perfect place to switch off. 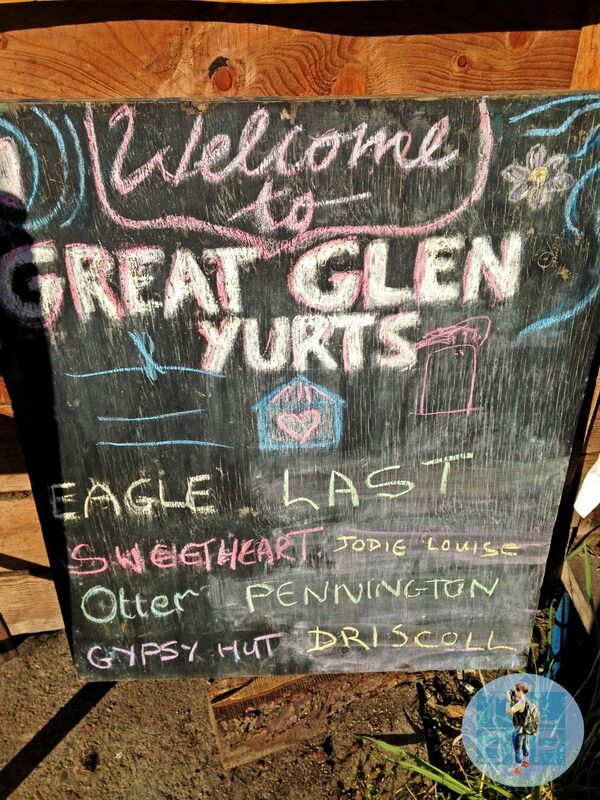 A little board detailed the yurt names and name of the guest, this was a cute touch. Although because of this I never saw an owner the whole time we were there. The yurts normally have a two night minimum policy but for a small fee I managed to bag one night to fit around our time schedule even though I would loved to have stayed longer. We spent the evening watching the sunset over the Nevis Range and then star gazing once darkness had fallen. After being stuck in the city most of the summer it was a welcomed change. I love being able to look up and see all of the stars in the sky, it makes you feel so free. Staying in the yurt was my favourite of the three accommodations I booked during our trip even though it had no electric or wifi. 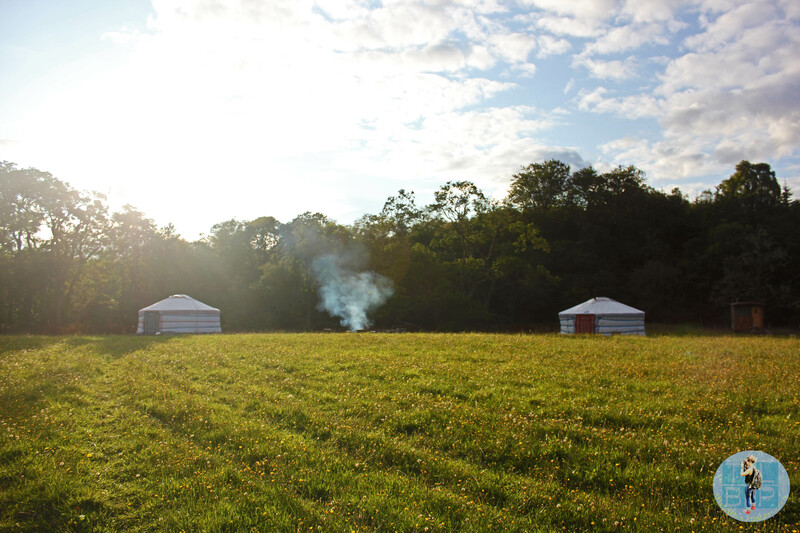 The quirkiness of the yurt made it feel like you were miles away from home and it was perfect for relaxing, enjoying nature and feeling free. 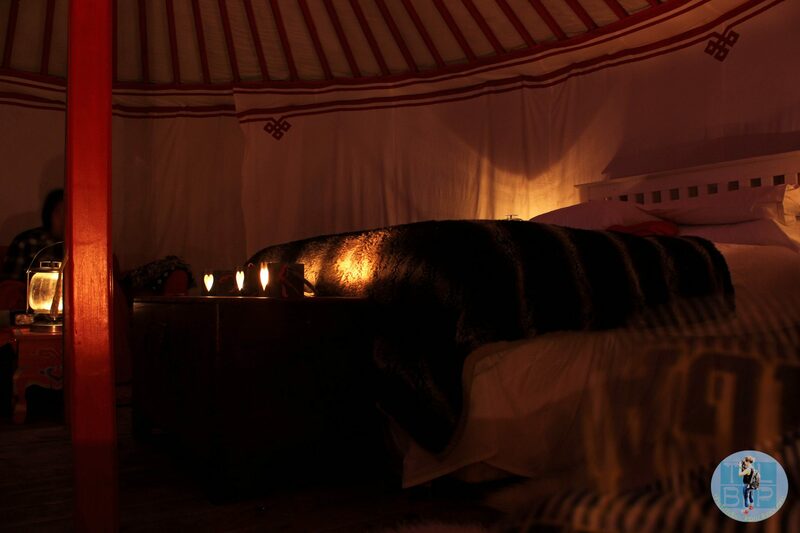 Essential Info: A one nights stay in the sweetheart yurt cost £90 the normal price per a night is £80 but this is with a minimum of two nights stay. 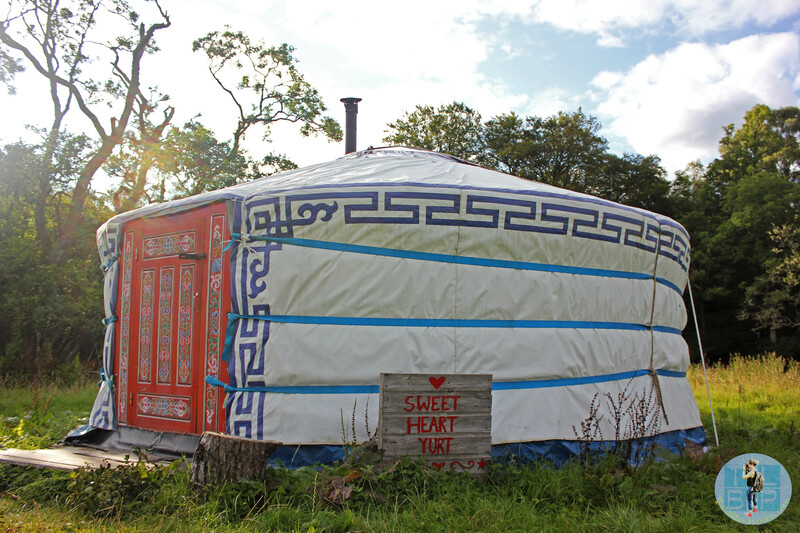 You can fit 4-6 people in the large yurts and 2-4 in the smaller yurt. 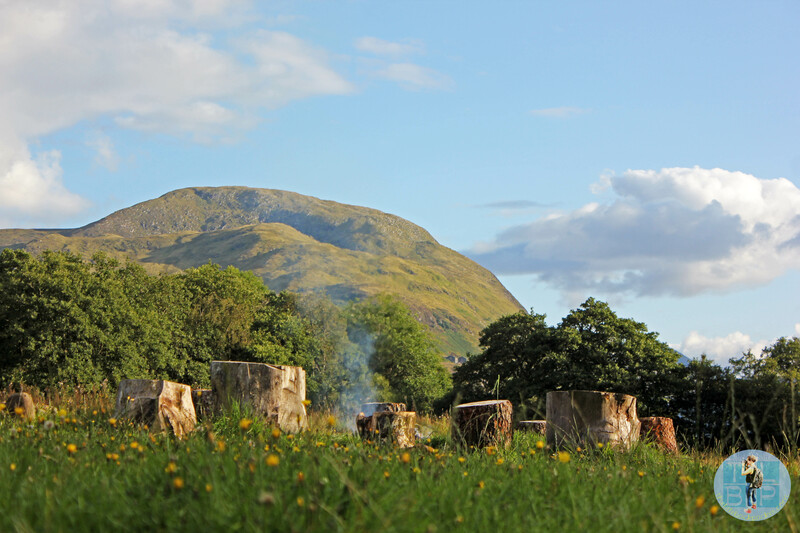 Fort William is located in the Scottish Highlands and is around 2.5 hours drive from Glasgow. How gorgeous is this?! 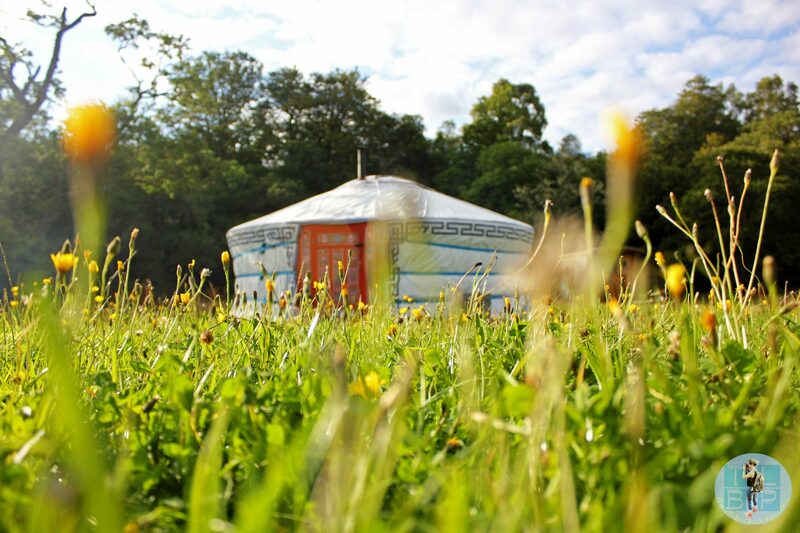 I only heard of a yurt about a week ago when a good friend of mine had a stunning wedding reception in a yurt but I’ve always wanted to try glamping and I think this would be right up my street – so quirky and unique!